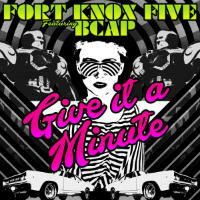 Give It A Minute is Fort Knox Five’s first post-Pressurize The Cabin-era single and finds the DC crew working with Boston emcee BCap who it seems they’ve been trying to get on the mic since they remixed Ursula 1000’s Smoke Machine a couple of years ago. Having had a lot more than a sixty seconds to conjure up a suitable sonic backdrop for some BCap bars they’ve ended up with a bouncing jeep beat driven by DC go-go drums, sub-bass and guitar licks. “I’ve been wondering where it all went wrong,” ponders BCap, “but still people…keep playing my song.” Maybe that’s because it ain’t gone wrong Cap! 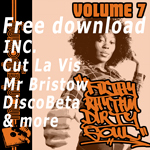 You’ll have to give it a minute before you purchase though because there’s another fortnight before the drop date.